Twitter has finally crossed the rubicon and will allow advertisers to target ads to you based on the words that you tweet. specifically, the feature is called ‘keyword targeting in timelines‘, and its available today in 15 languages and all markets. 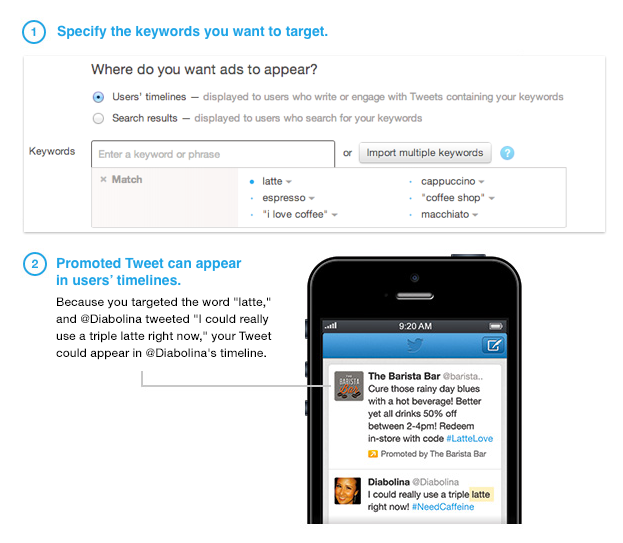 Twitter previously used the content of tweets to fill out its interest graph for advertisers, but this update brings laser targeting based on the topics that you tweet about to the product. Twitter uses the example of a person who tweets about enjoying an album from a band. A local venue could use a combination of Twitter’s location-based targets along with a keyword tuned to that band to pop an ad with a link to buy tickets to that band into the user’s timeline as a Promoted Tweet. Twitter stresses that they’re not showing more ads in anyone’s timeline, they’re just going to be showing better targeted ones. And users will still be able to voice their disinterest by dismissing un-relevant Promoted Tweets. The ad targeting is also “based on the keywords in their recent Tweets and the Tweets with which users recently engaged.” That engagement could come in the form of retweets, favorites and other actions. 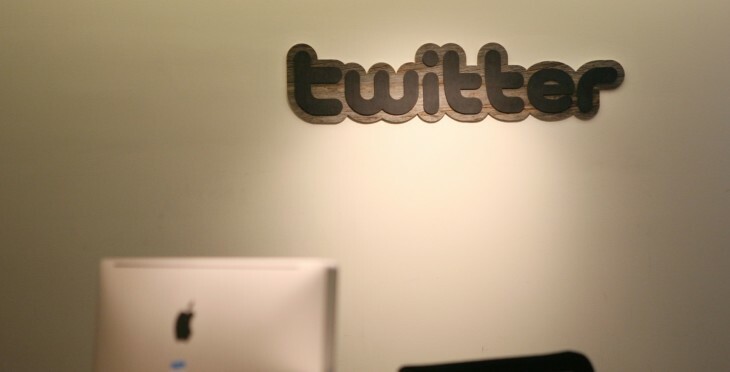 Twitter says that tests run with companies like Microsoft and Walgreens, they saw a jump in interactions with ads based on keyword targeting vs. other kinds of targeting. Anyone who has been following Twitter’s ad products over the past few months has just been waiting for this to become a thing. Targeting based on location and platform used was one thing, and the nebulous ‘signals’ that Twitter was using to target Promoted Tweets and such were already getting positive results. But specific word targeting is the holy grail of advertising, allowing brands and companies to tightly focus campaigns on those with very specific interests and along a very important vector: time. When an ad is delivered is in many ways just as important as how it’s delivered and to whom. If you were just tweeting that you’re hungry for a burger, then see an ad for McDonalds, that’s much more effective than if you saw one hours later or hours before. The panel is from One Media Manager, which its designed to streamline the campaign creation process using keywords. 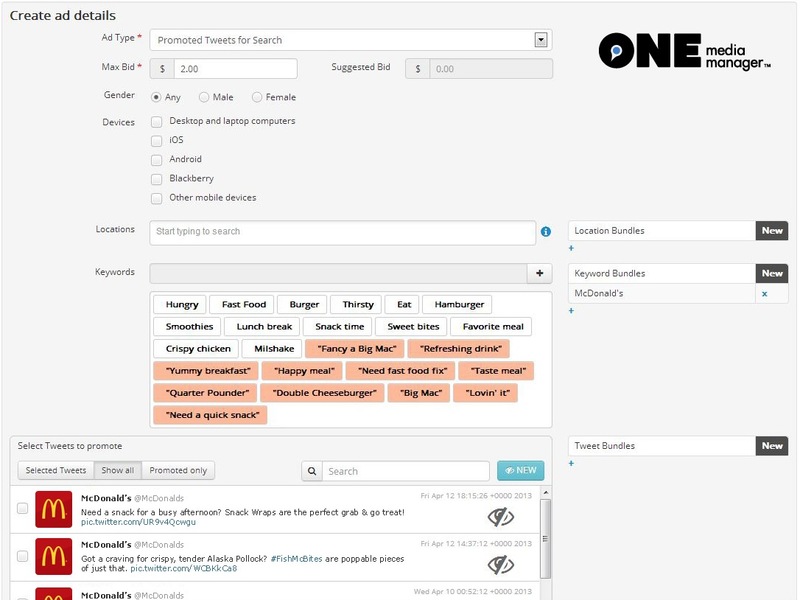 It allows advertisers to create bundles of keywords that they can use to target ads. This kind of targeting is offered outside of Twitter in other products of course, but Twitter’s super-real-time nature could offer a distinct advantage in keyword targeting effectiveness. Depending on how timely Twitter is in delivering ads to the timeline, this seems like it could have a huge impact in how likely people are to notice and act on ads. If there’s too much delay, that effectiveness could be blunted. As a user, it’s unlikely that you’ll be seeing any difference in the volume or type of ads that you’ll see, but they might start to get freakishly accurate. Don’t be surprised if you tweet about a restaurant or type of cheese and see an ad pop up for those in your timeline a few minutes later.